Whenever you conduct a home improvement project, having the ability to improve the beauty of your residence while enhancing how you use the property is an absolute plus. One of the most amazing changes that you can make to your home that achieves both of these goals is installing new dormer windows on your roofing system. 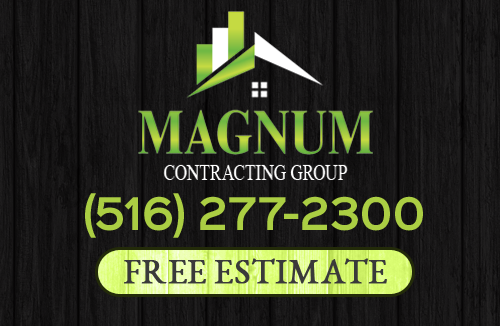 At Magnum Contracting Group, our remodeling and roofing experts specialize in the design and construction of roof dormers in Long Island. Our Long Island roofing contractors are humbled by the fact that you are considering hiring us for your dormer construction project. We understand the importance of your home; therefore, we will treat our services as if we are performing them on our own properties. In this way, we can guarantee the best possible and most beautiful results. If you are interested in installing dormer windows on your Long Island home, call Magnum Contracting Group today. Our courteous and polite staff would be happy to get this project started for you. We can answer any and all of your questions and can schedule your appointment today. One reason that you should consider installing roof dormer windows on your home is to dramatically improve the beauty of your property's exterior. Well designed dormers in Long Island break up the monotony of your roofing system while also complement all other architectural features of your residence. When you hire our team, our Long Island remodeling contractors can work with you to design the new dormer systems that you and your family will love the most. With our help, the unique vision that you have in mind for your home will become a reality. You and your family will be exquisitely pleased with your new dormers for decades to come. 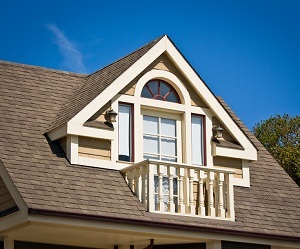 Perhaps the best reason to construct dormer windows on your Long Island property is to expand that available area within your home. Dormers extend outwards from pitched roofing systems, adding valuable living space to the highest floor of your property. As such, these rooms will become far more usable after the project is completed. Better yet, use of these rooms will also be more enjoyable. You will have an abundant source of natural light due to your new dormer windows. Likewise, they can improve ventilation and comfort in the area. After we install dormers on your property, the relatively unused top floor can immediately become the most popular rooms in your Long Island home. If you would like an estimate for dormers in Long Island, please call 516-277-2300 or complete our online request form.